What can't a little makeup do? 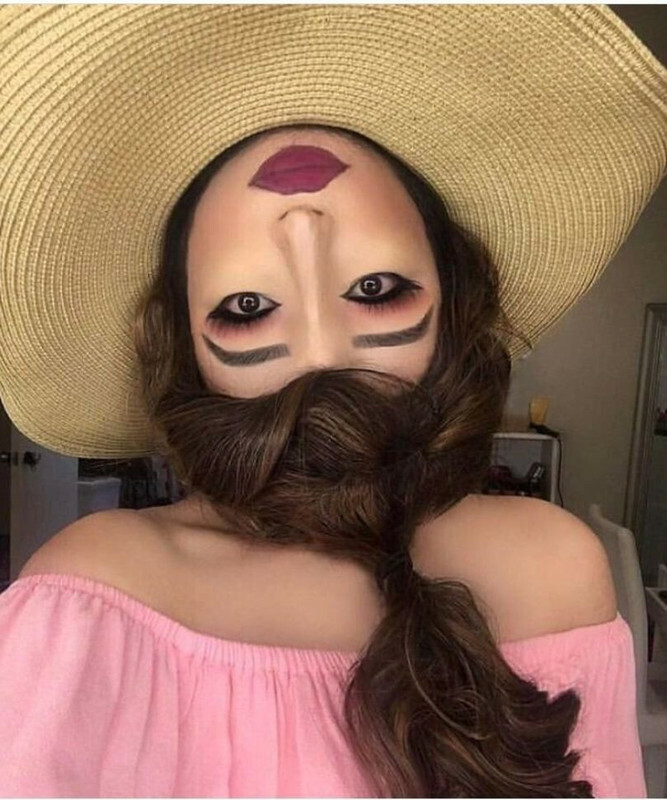 Her mouth and nose are painted on the forehead. Her real mouth is covered with hair.